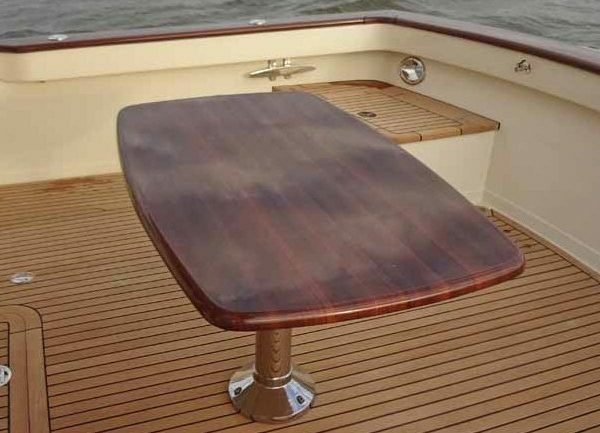 We can now add a custom cockpit table to the Fleming 55! Taking design cues from the optional cockpit tables on Fleming 65’s, this table features a stainless pedestal base with a Burrwood table top. 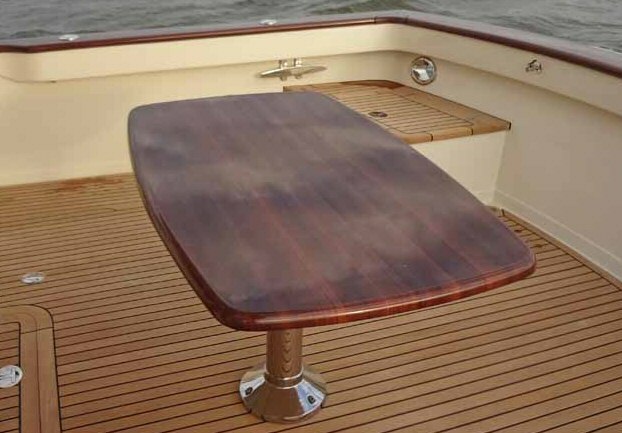 The Burrwood top replicates the exact appearance of varnished teak without the need for continual maintenance. It will never require varnish and is very durable. This is a great way to add a beautiful table for dining and entertaining without compromising access to storage hatches or the swim platform gate, nor will it obstruct line handling. Email us for more information!